CraftyGirl's Featured Shop: FairyBubbles! | CraftyGirl Creates CraftyGirl Creates: CraftyGirl's Featured Shop: FairyBubbles! Home » Uncategories » CraftyGirl's Featured Shop: FairyBubbles! I'm one of those people who goes nuts in Bath & Body Works. Must. Smell. EVERYTHING! I love lip balms, body washes, bath bombs..you name it, I adore it. And that's why today's featured shop is making me wish I could smell their products through the computer screen! Meet Amanda, the proud owner of FairyBubbles, a great Etsy shop with literally thousands of sales. Originally opened in 2008, FairyBubbles carries a vast assortment, including lip balms, shaving kits, whipped soaps, sugar scrubs and more. Here are a few of her items that caught my eye...and may just be making it onto my birthday wishlist! 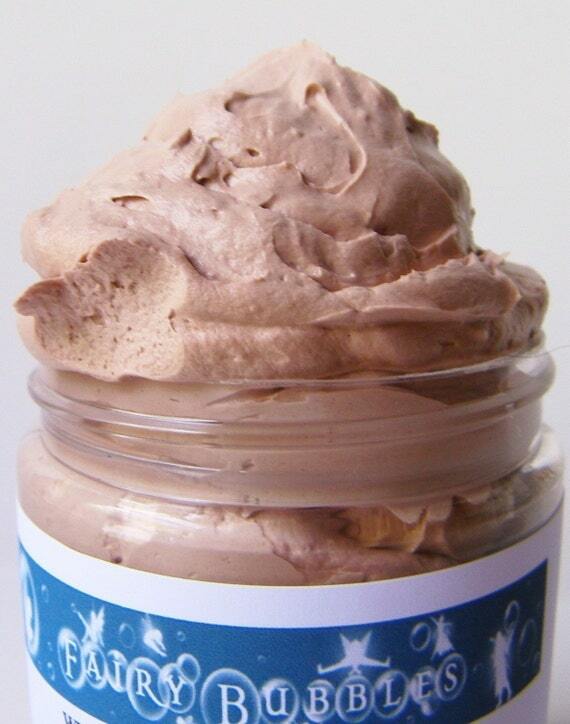 FairyBubble's Chocolate Whipped Soap comes in a 4 ounce jar and is super moisturizing, leaving your bath or shower feeling incredibly indulgent. 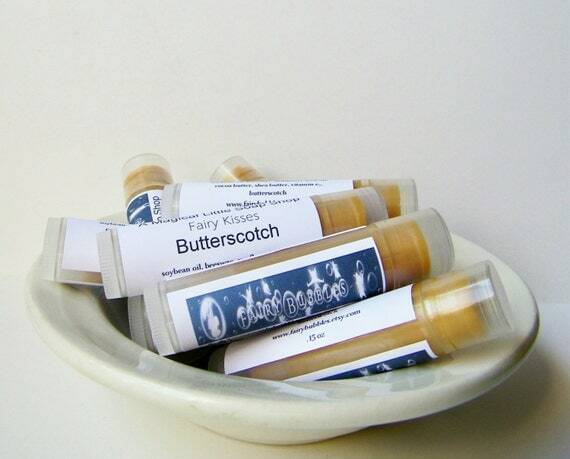 And last, but not least, is FairyBubble's Butterscotch Lip Balm, made with all natural ingredients and real butterscotch. 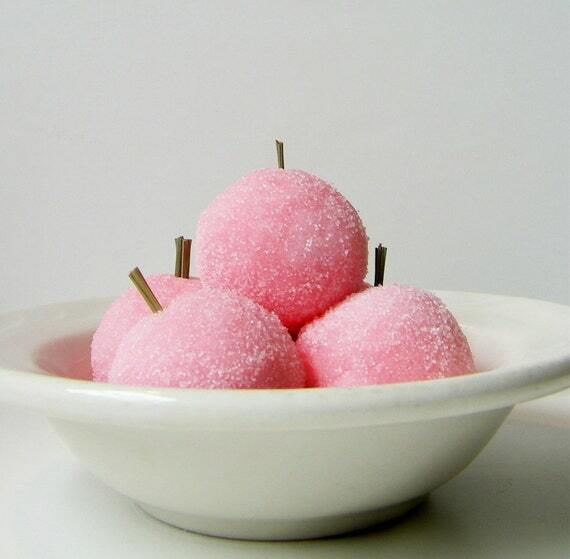 It keeps your lips healthy and moisturized, while providing you with a great lip smacking flavor.